Regardless of whether you are manufacturing dozens or thousands during this phase components and assemblies are reviewed and edited to take advantage of economy of scale and manufacture processes. Throughout the development process, Production Design for Manufacture is always applied. However, during development prototyping some components and assemblies may have been designed to take advantage of the available prototyping methods. Additionally, during the Request for Quotation process attention must be given towards cost of tooling and component cost. Projected cost studies performed earlier in the process are updated to reflect real time cost. These real time cost may influence design decisions made and require that additional design iterations may be necessary to optimize cost and delivery targets. 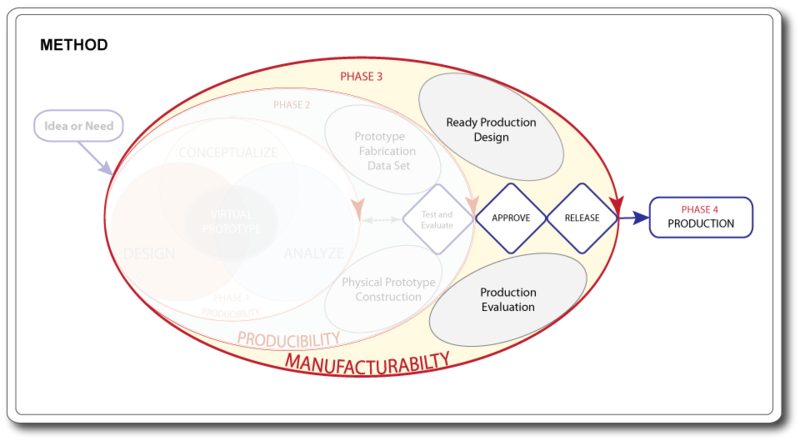 Once the final design is released for manufacture components may still be optimized. We’re sorry to admit that often, not until the parts are in manufacture are they fully evaluated for their specific process. The supplier may still request changes to further optimize the specific component to suit their methods of manufacture. Prior to entering into production design, first articles of all parts with accompanying inspection data will be review for compliance, additionally first article assemblies will be built and tested for compliance. This first article is still consider a “production prototype”. The production prototype is a prototype built from actual production components. Once these prototypes are evaluated and approved, all components are released for production!